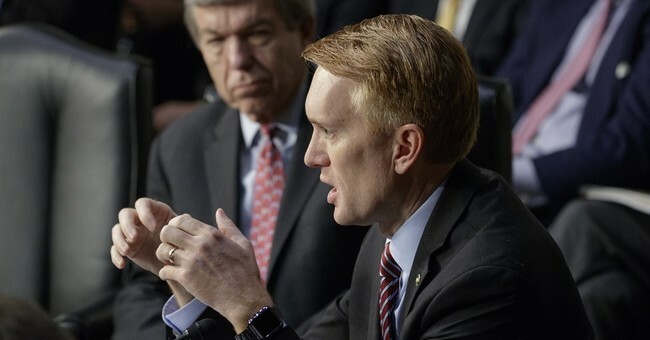 Senator James Lankford (R-OK) said Monday that Americans “do not hold children legally accountable for the actions of their parents” in response to reports that President Trump will be ending the Deferred Action for Childhood Arrivals (DACA) with a six-month delay. “It is right for there to be consequences for those who intentionally entered this country illegally,” Lankford acknowledged. “However, we as Americans do not hold children legally accountable for the actions of their parents." House Speaker Paul Ryan has also signaled disapproval for Trump ending the program, telling a hometown radio station, "I actually don't think he should do that, I believe that this is something that Congress has to fix." "President (Barack) Obama does not have the authority to do what he did ... we've made that very clear," Ryan continued. "Having said all of that, there are people who are in limbo. These are kids who know no other country, who were brought here by their parents and don't know another home. And so I really do believe there that there needs to be a legislative solution." Politico reported Sunday that two sources in the White House say Trump has decided to end the Obama-era program after months of deliberation. White House aides cautioned that nothing is certain until an official announcement has been made. The White House said an official announcement is slated for Tuesday.